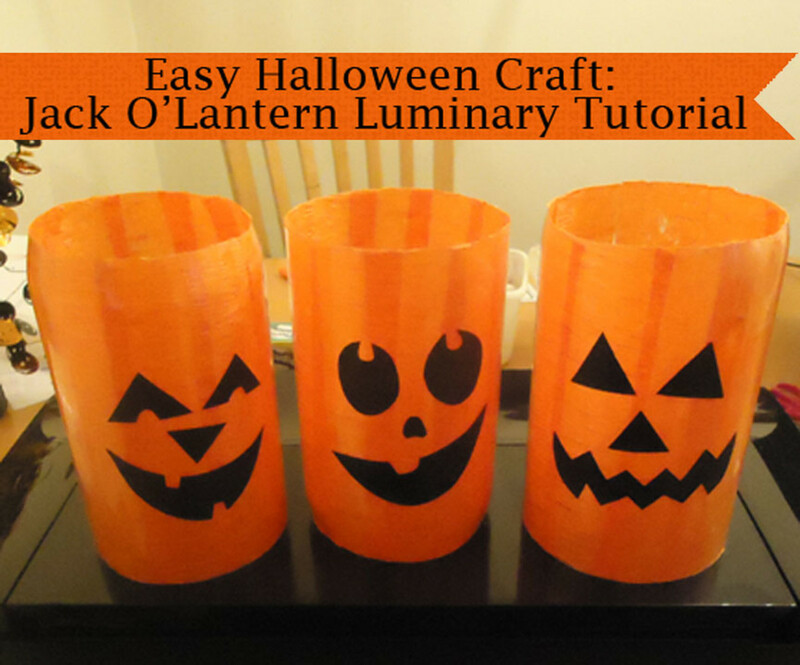 Halloween and cars offer an awesome opportunity for those with a creative inclination to make a great outdoor display in their yard or business during the season. 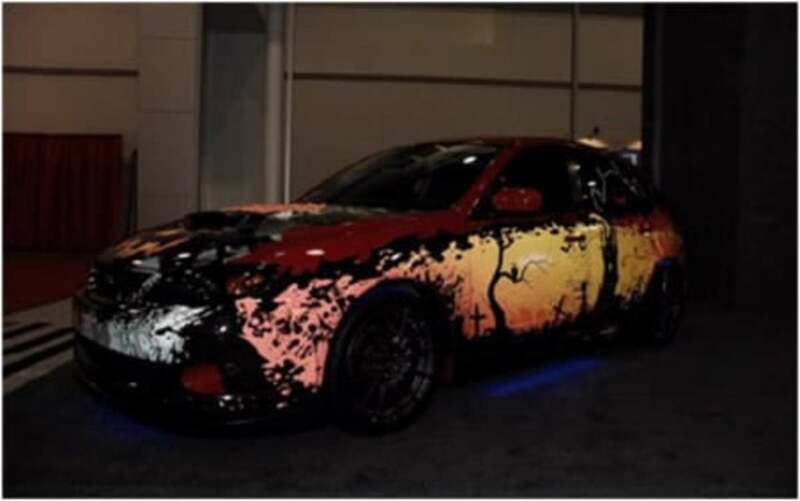 Some of the examples shown below of cars decorated with a Halloween theme run the gamut as to talents and choices used to build these amazing creations. 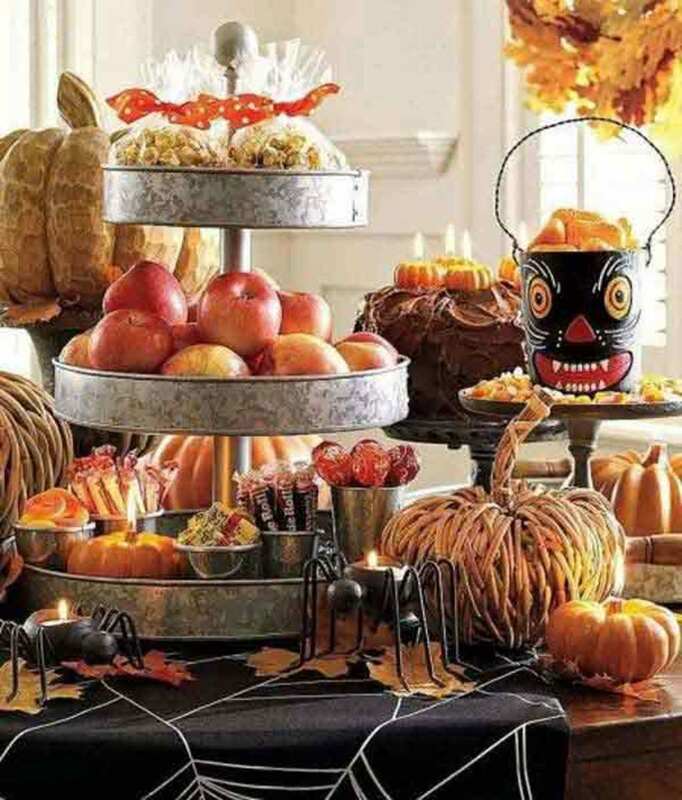 You have everything from car art and sculpture, to adding miscellaneous objects as the medium of choice to transform the cars into Halloween statements; and I personally like all of them. Interestingly for me, my favorite among the cars is one that is minimalist as far as it relates to changing the appearance of the car. Some of the Halloween cars are much better as far as quality goes, but the spirit of Halloween is represented in my favorite choice, which I'll reveal at the end of the article. 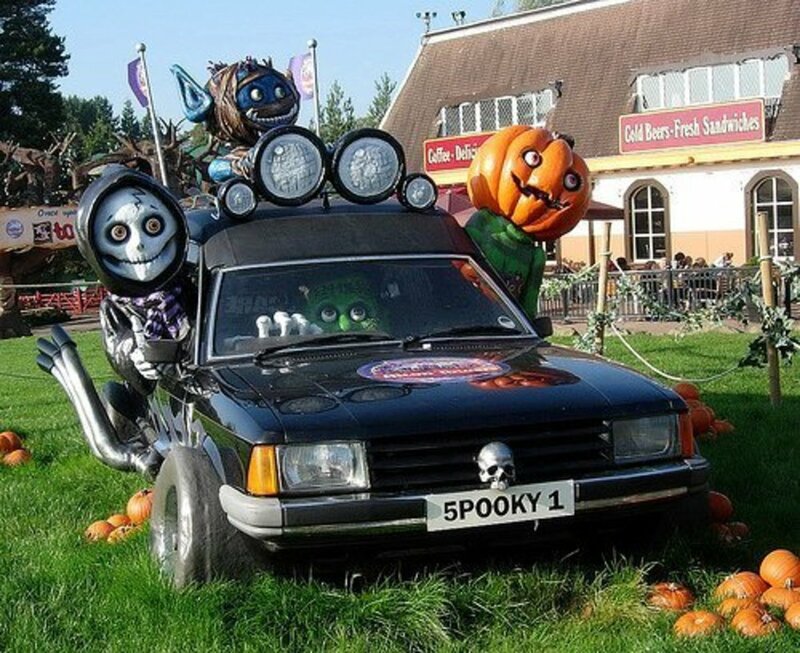 This first example of decorating a car for Halloween was included at this point in the article to show you can take an old beater and make it look very cool. In many instances, depending on the particular theme you have for Halloween, an older car can be the best, especially when creating the real scary look. If you look closely at the car, you'll see that the design was put together mostly on the hood, with many extra tools and parts. The skeleton shows that the best. 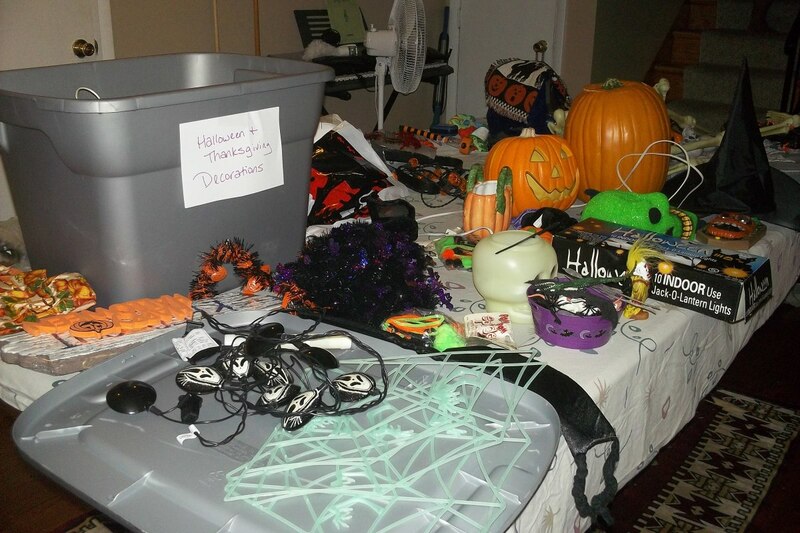 Since this type of stuff is considered junk by most people, you could get a good deal for a bunch of this stuff and use it for the foundation of your Halloween car art. Someone with a more artistic ability and focus worked on the next car. Notice the subtle change in color from the front to the back for the background, and the black trees and foliage in the foreground. Nice effects. 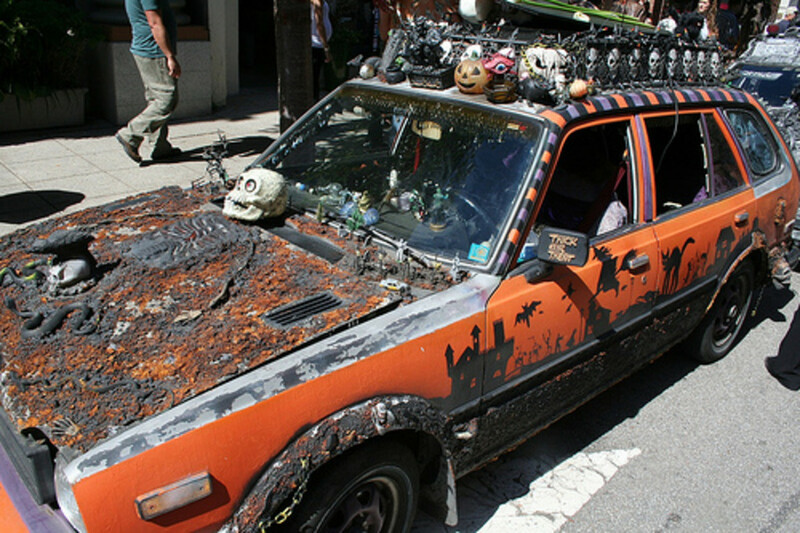 This definitely takes Halloween car art to another level, as do some of the following cars. 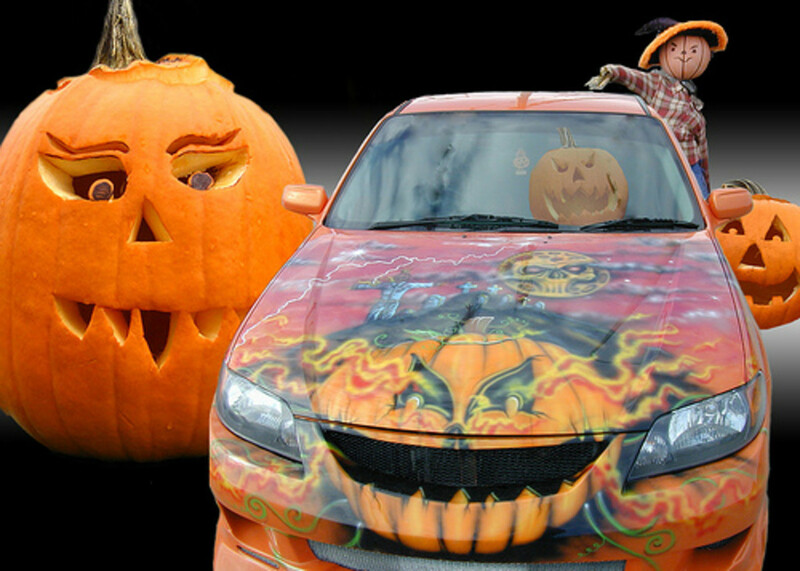 This car with the pumpkin art is one of the favorites of those exploring the genre. 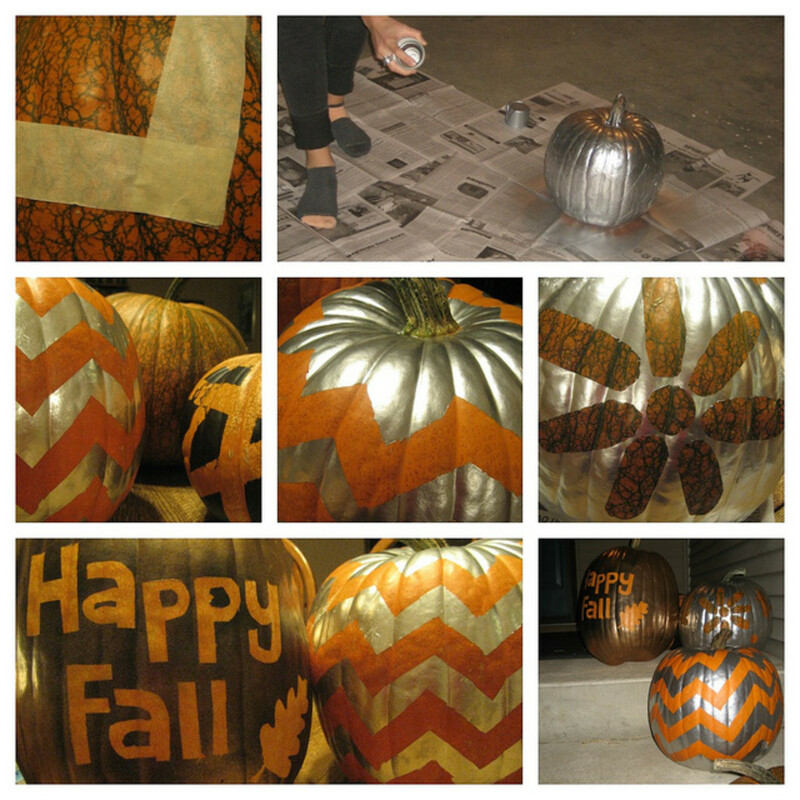 It's done by a very talented artist and captures the essence of Halloween, while adding a little bit of darkness to the pumpkin. Very cool use of the hood and grill. 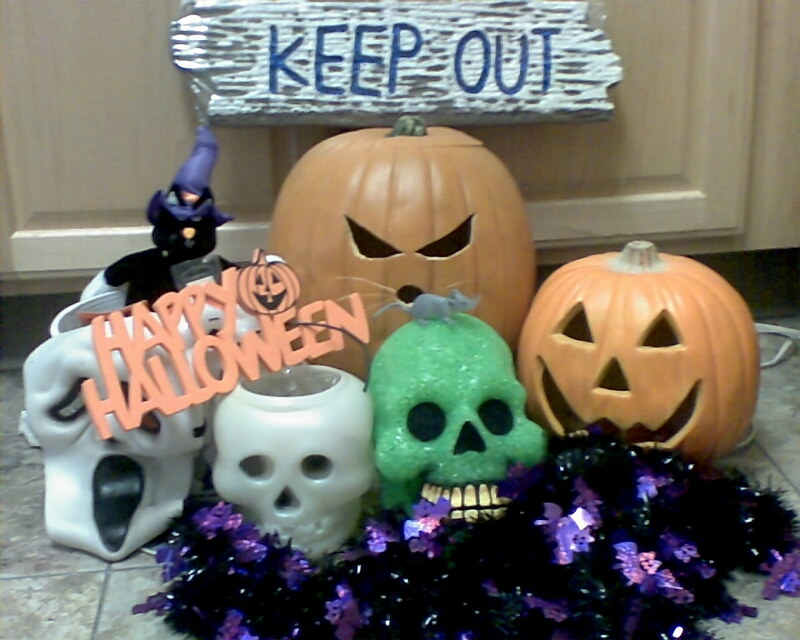 The Halloween theme below is a lot of fun. Those faces on the characters are really compelling and make you laugh. You almost get the feeling some teenagers are taking a joy ride and letting it all hang out. Those additions on the side and top of the car really work great to me. Who wouldn't want a car decorated in their yard like this for all to enjoy? 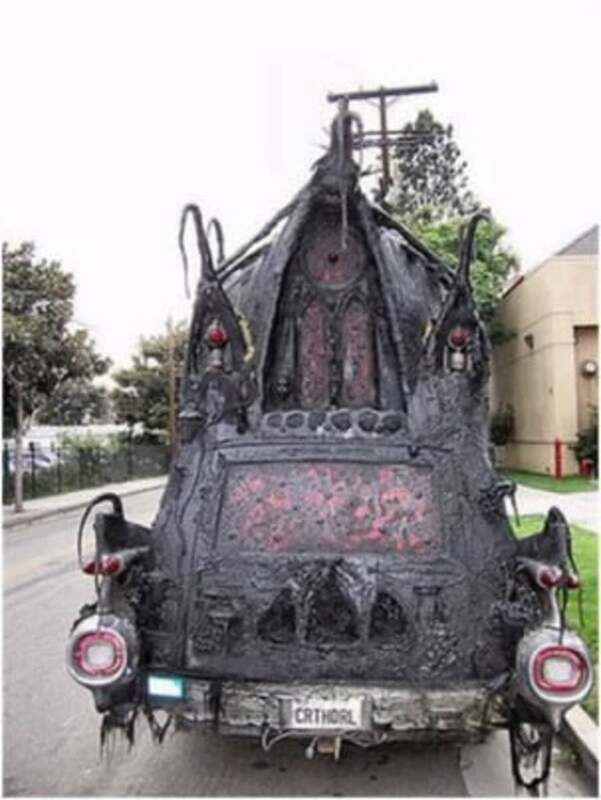 While the Gothic-designed car below wouldn't win any beauty contests, it does capture the dark and foreboding nature of Halloween, and would be a great piece to put in your yard to startle and/or delight your visitors. Now the car below is the work of a serious artist. 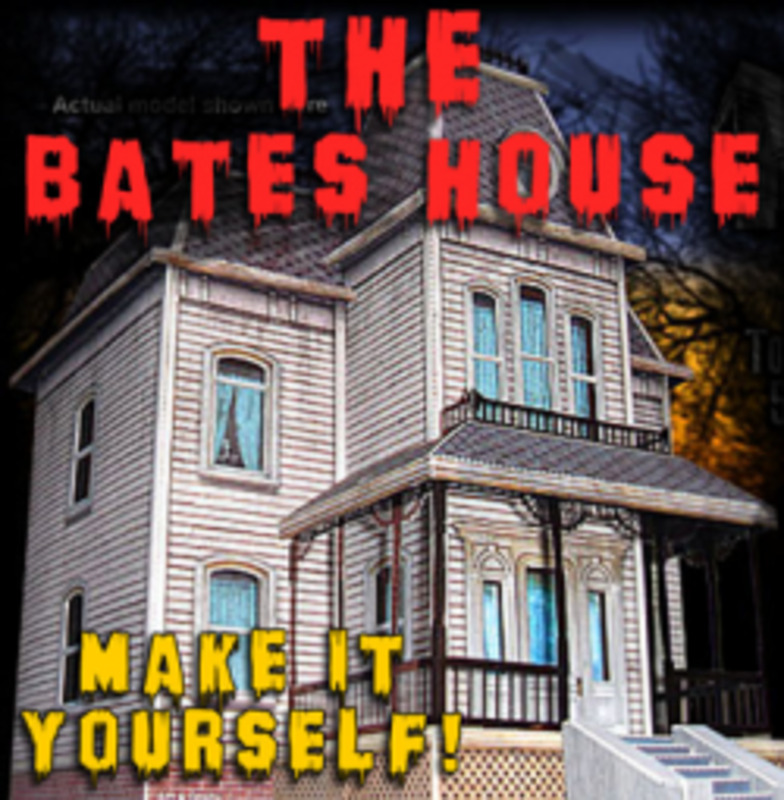 The quality is amazing, and what a fantastic piece to show off for the Halloween season, if you dared to put it out. 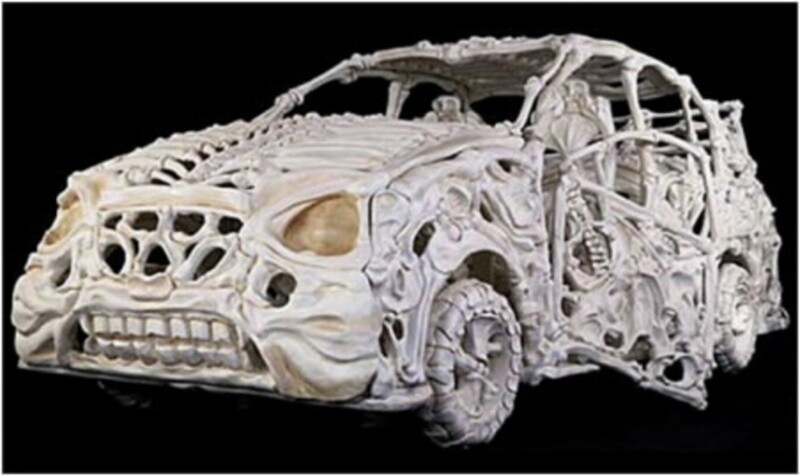 You would just about have to hire a guard to keep the hands off that would want to examine all the detail of this skeleton car. Very cool. I mentioned that I would let you know which car above was my favorite Halloween design, and I would have to choose the one with the figures sticking out of the doors and back top of the car. There was something about it that capturedHalloween for me, and it was fun, something that could be an inspiration for others, while not taking itself too seriously. 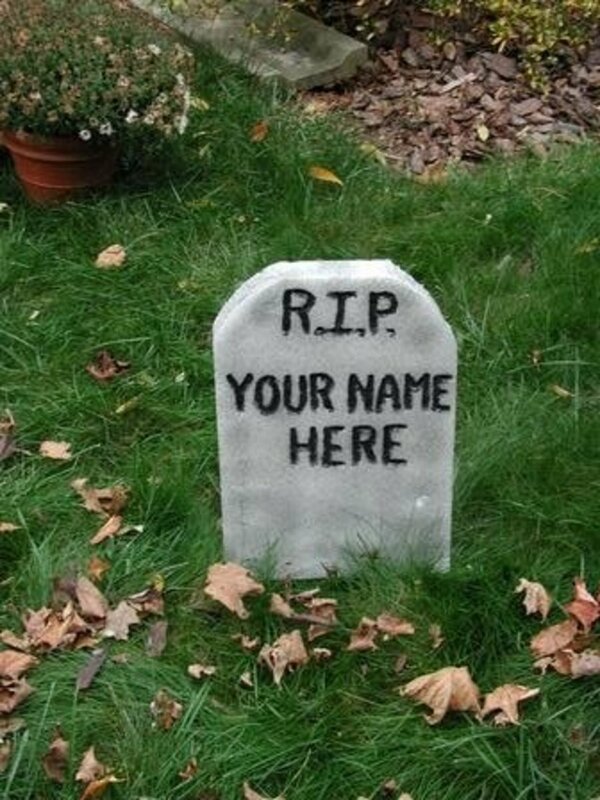 Don't be fooled by the apparent simplicity of the design. It was much harder to design and put together than you may think. 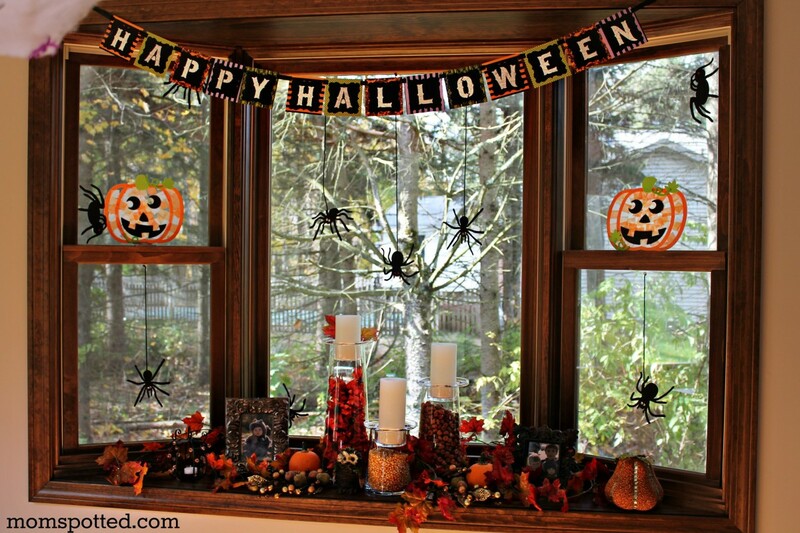 What was your favorite Halloween car decoration of those above?